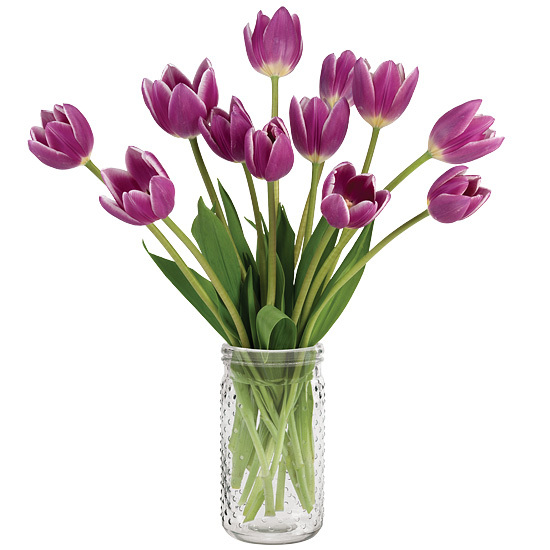 An expression of love for Mom, a birthday wish, or a gift to say “Have a beautiful day,” these lovely lavender Dutch tulips bloom with lighthearted happiness. 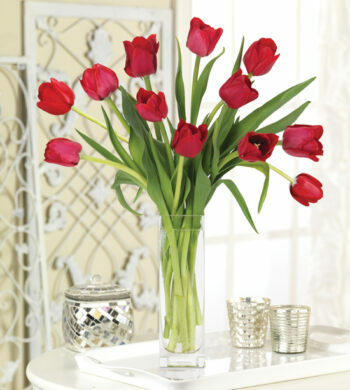 They’re naturally perky and fun, treating your special someone to quite a show as they open wider, mature, and move each day as if dancing inside their vase. 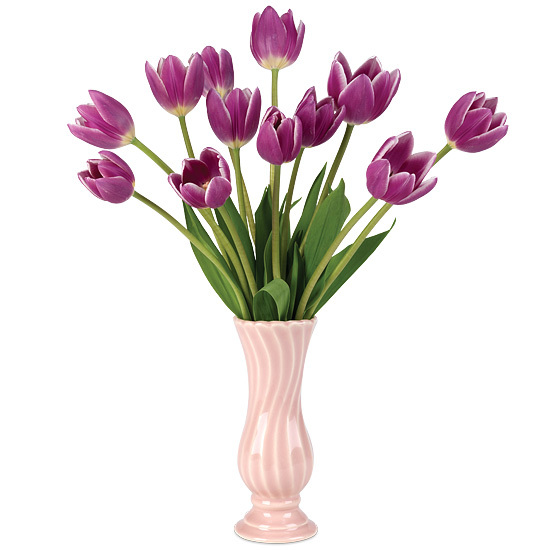 The vase’s shape and matte finish add to the fashion and fancy, complementing the purple petals of the tulips and making everything even more fun.